Good morning! I hope everyone had a pleasant weekend! After a very exciting sushi making dinner on Friday night, the rest of the weekend was spent relaxing and catching up on some work. A good weekend, in my book. 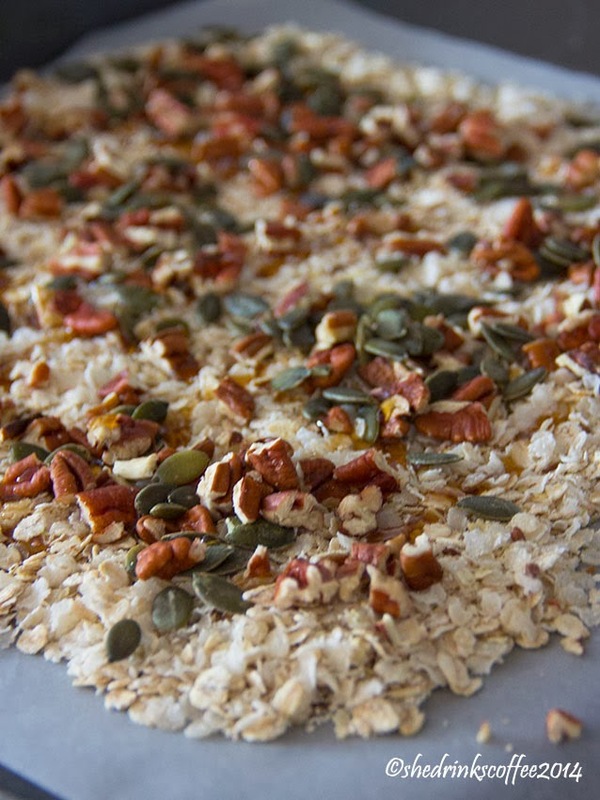 Now how about some homemade Pumpkin Spice Granola to start Monday off right? Line a baking sheet (preferably one with a slight rim so nothing slides off) with baking parchment. Evenly spread the oats over the parchment paper. I used a mixture of gluten free oats, rice flakes, millet flakes, buckwheat flakes, and golden linseeds (Alara's Gluten Free Pure Oats and Gluten Free Luxurious Porridge). You are very welcome to use whatever kind of oats you prefer and/or have on hand, but I do recommend the mixture! 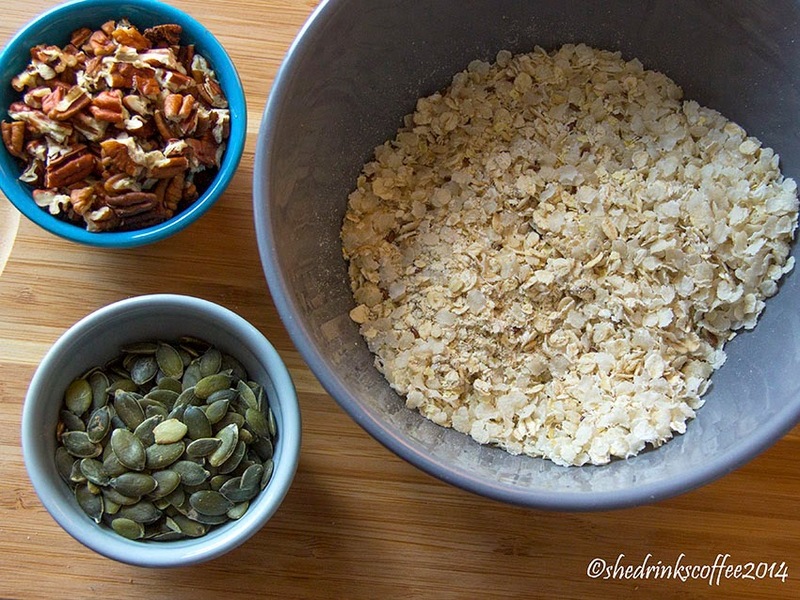 Next you should sprinkle the chopped pecans and pumpkin seeds over the oats, making sure to distribute them evenly(ish). Then sprinkle the cinnamon, ginger, and nutmeg on top. Drizzle the maple syrup, honey, and water over the nuts and place the baking sheet of goodies into the oven. 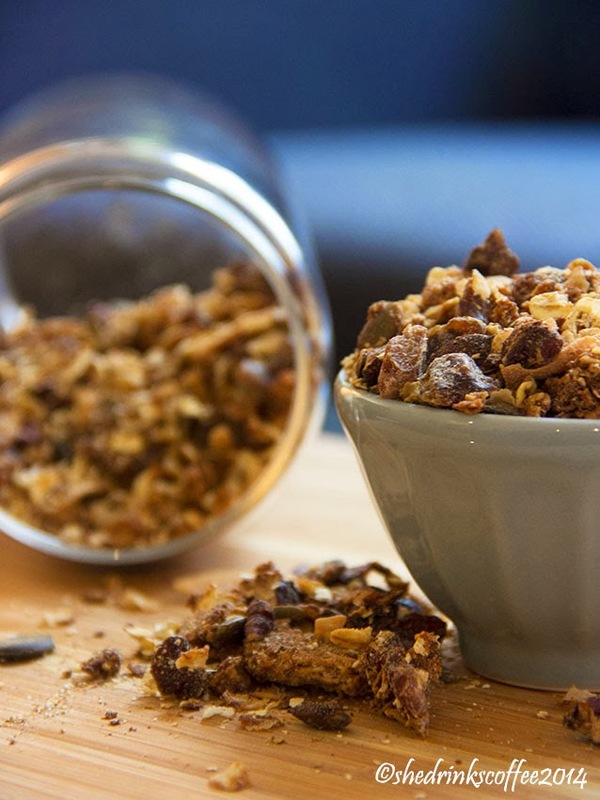 Use a spatula to stir the baking granola around and re-spread every five minutes or so to ensure everything bakes evenly. 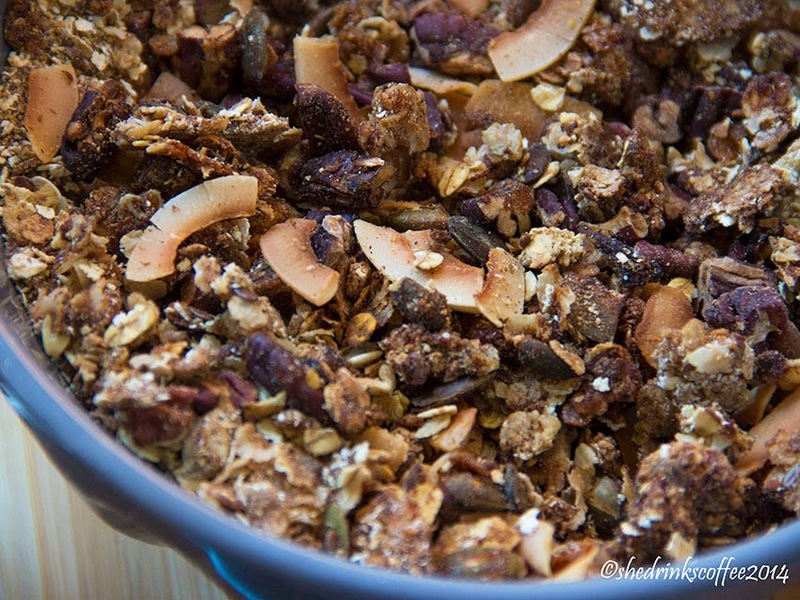 The granola should bake for about 25 minutes, or until the oats reach a nice golden hue. 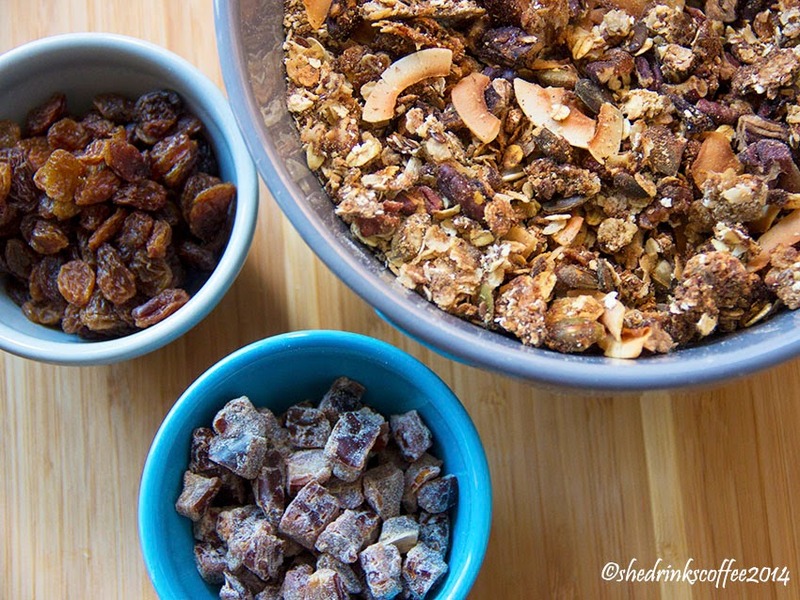 When the granola has about 3 minutes of baking remaining, quickly sprinkle the coconut flakes on top so they lightly toast. No more than about 3 minutes though, or they'll go from toasted to burnt! 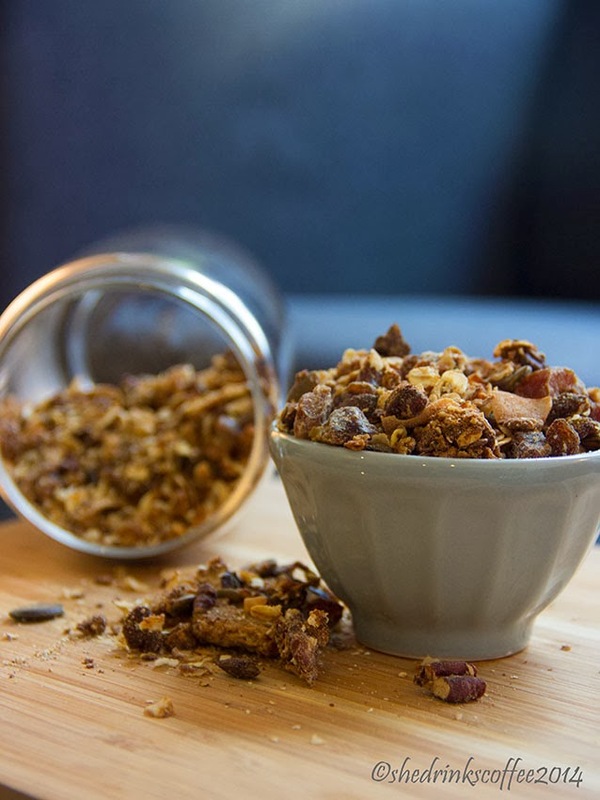 After about 25 minutes, remove the baking sheet of granola from the oven and carefully use the parchment paper to pour the granola into a large mixing bowl that can stand a bit of heat. 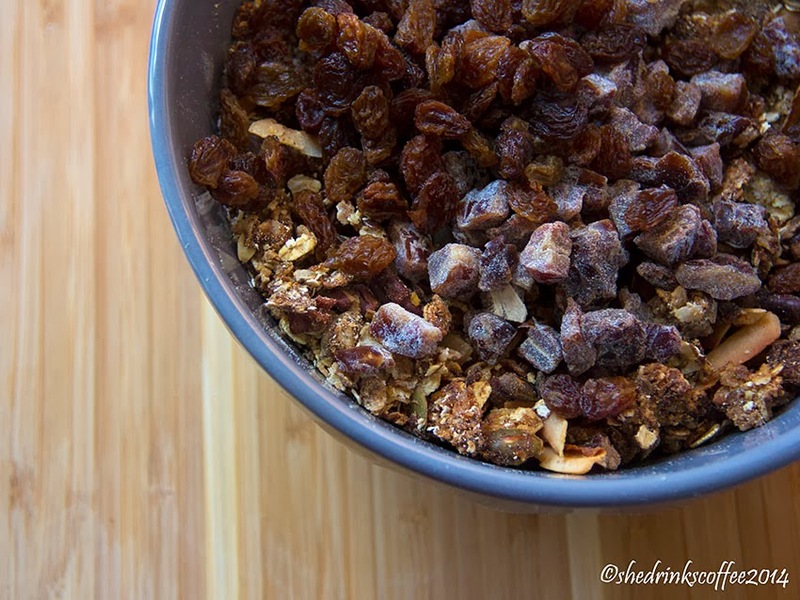 Then add the raisins and/or sultanas and the dates to the granola and stir to properly combine everything. 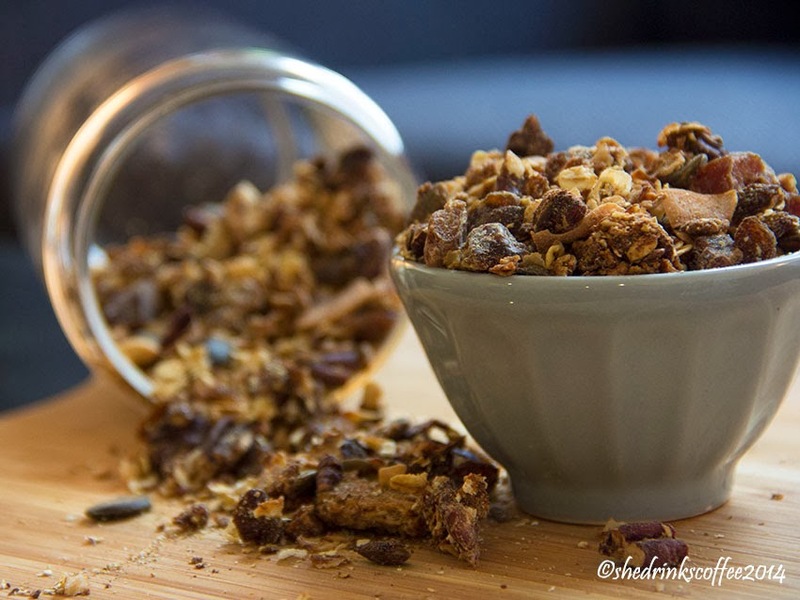 Enjoy this tasty granola sprinkled over porridge or yogurt, in a bowl with unsweetened almond milk, a handful on the go, or - if you feel like more baking - try using it in my Granola Cluster Cookie recipe! This will keep perfectly well for at least a week in an airtight container. That is, if your willpower allows it to last that long! Mine, maybe... possibly.... who told? did not. What can I say? 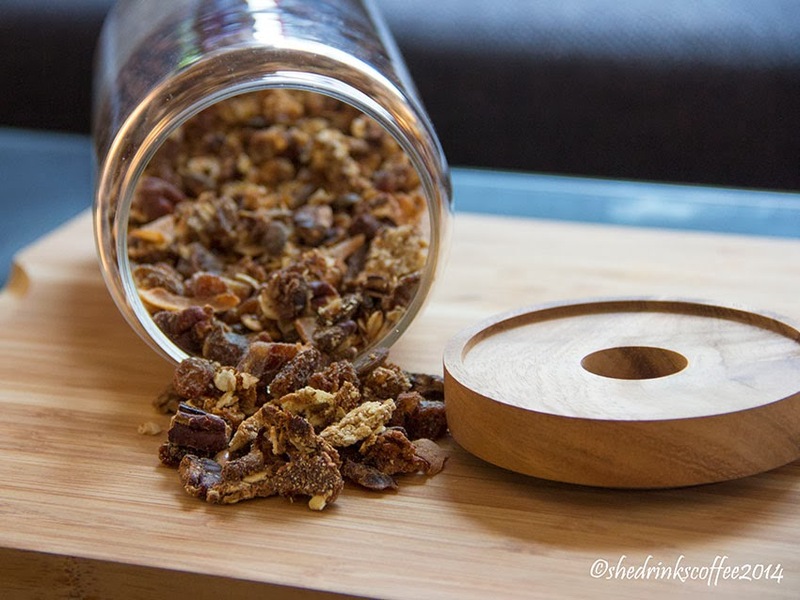 This granola was calling out to be consumed. Good luck!